Anim18 is a celebration of animation taking place across the UK, showcasing the best of British talent, with the aim to put British animation – past, present and future – firmly in the spotlight. 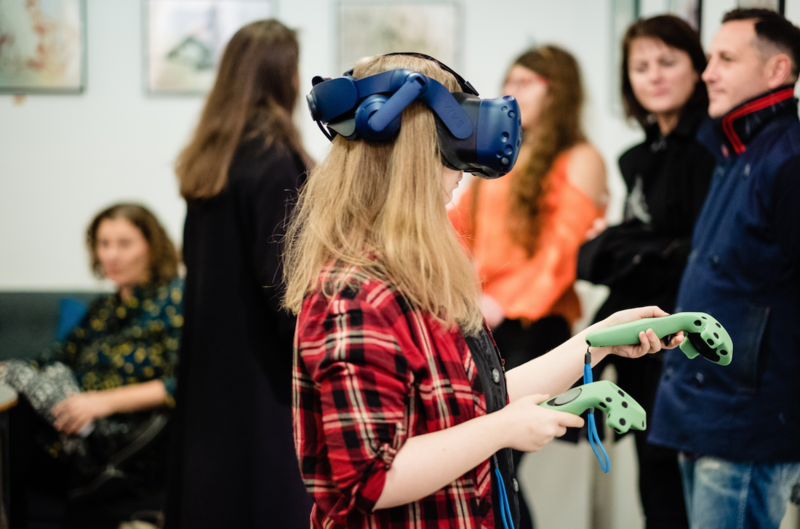 It will explore the history of British animation, from early techniques to modern technologies such as gaming and VR. 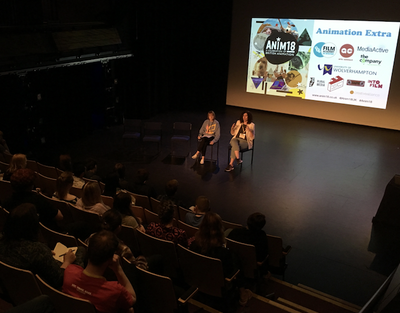 It will complement BFI Animation 2018, the year-round celebration of animation. 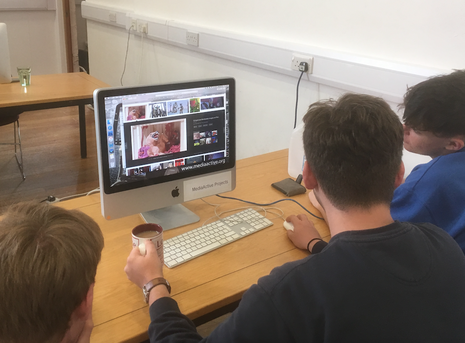 MediaActive's programme has been working alongside young people, as programmers and participants, and includes a BFI Film Academy national careers event (see BFI Film Academy Animation Extra below), pop-up screenings, exhibitions, artist-residencies and workshops (scroll down this page to see find out more). 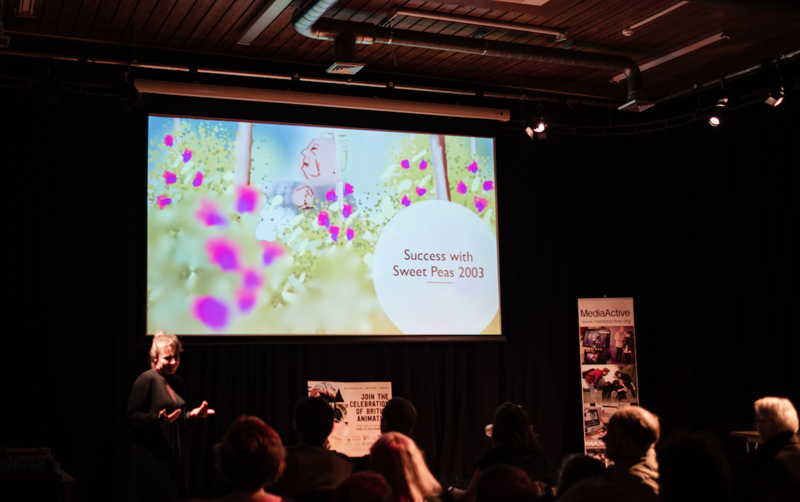 A fabulous time was had by all at our evening of animated VR, screenings and talks by leading animators; followed by the premiere of this year's BFI Film Academy at MediaActive film - watch the brilliant animation - made by 21 young people - entitled 'Unlikely Heroes' below. A creative animated documentary, using an array of experimental animation techniques, revealing the crucial role messenger pigeons played in wartime. 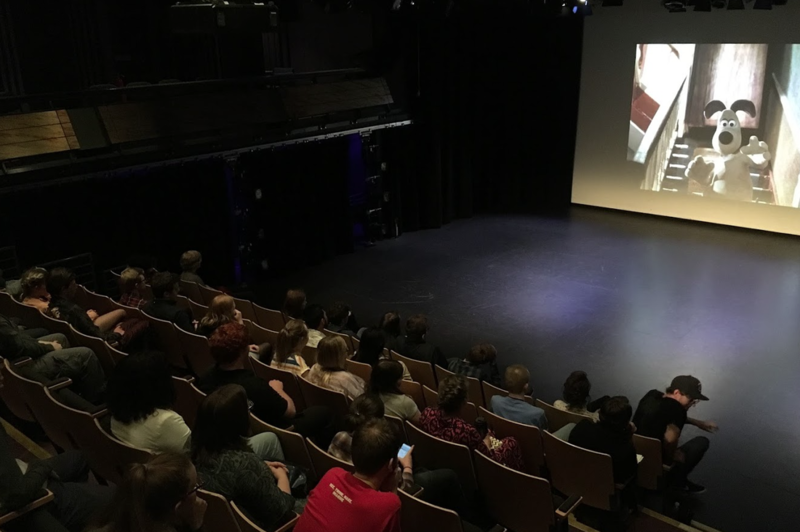 This short film was made by a team of twenty one young people aged 16 to 19 years, working alongside artists, filmmakers and animators, as part of the Eyewitness programme and in response to the 2018 RAF Centenary and WW1 Commemorations. 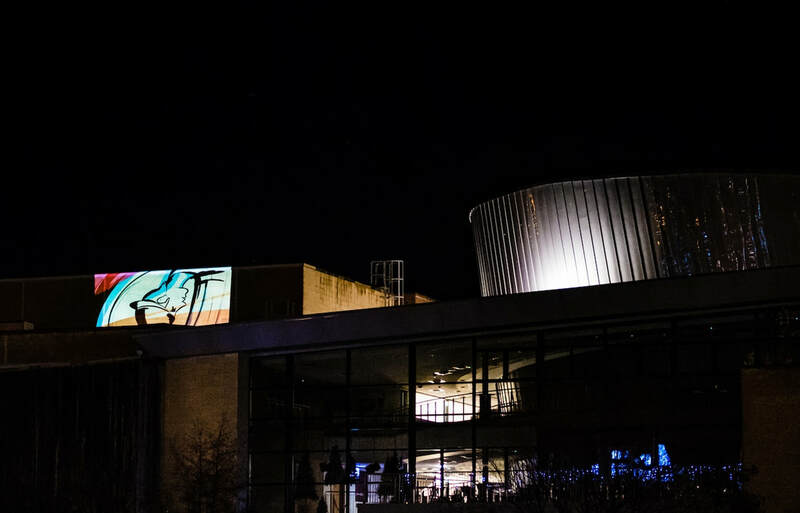 Supported by Arts Council England and the Armed Forces Covenant Fund Trust. - more images coming soon! The above images are taken from an exhibition at Theatre Severn that included animations made by UK animator Cyriak selected by Adventures’ Young Programmers, and short animated films made by young people, who have worked locally with MediaActive, and further afield with BFI Film Academy partners - select the image below of the exhibition guide to find out more. 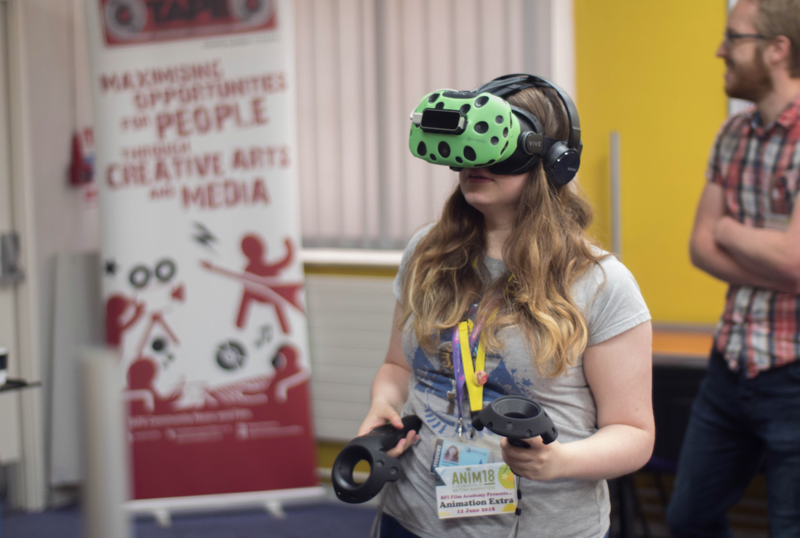 The exhibition was expanded during November to include work in progress by our Animator in Residence Raj Mahuru: an alumni from the Animation BA at University of Wolverhampton. 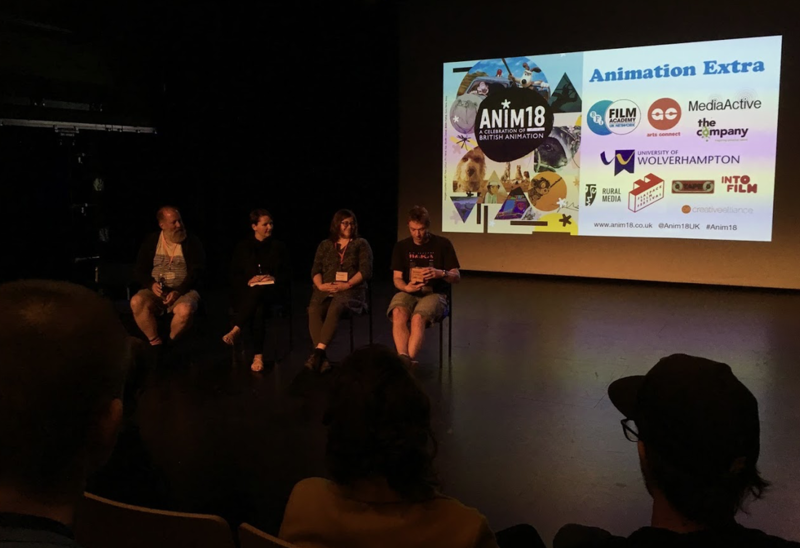 Raj worked with MediaActive, and with the inspirational support of award winning animator Dr Samantha Moore and UoW Head of Animation Emily Mantell. 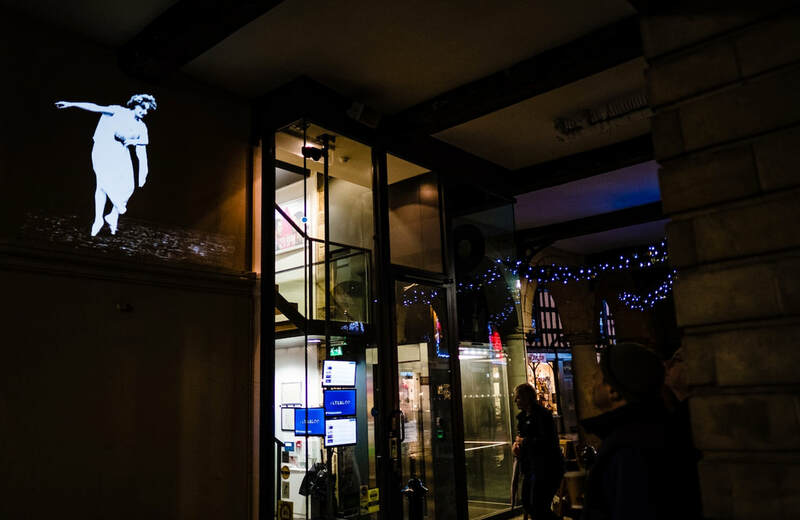 Animation created during the residency appeared in unexpected places, in and around Shrewsbury, in late November….photos and images from the residency, along with Raj's final work, coming soon! As part of Anim18, and in partnership with our good friends at TAPE, MediaActive have curated this year's Film Programme at LLAWN. Llawn (Welsh for ‘full’) is Llandudno's free multi-arts festival that takes place across the town on one weekend each September. To have a look at what we screened please select either of the images below. 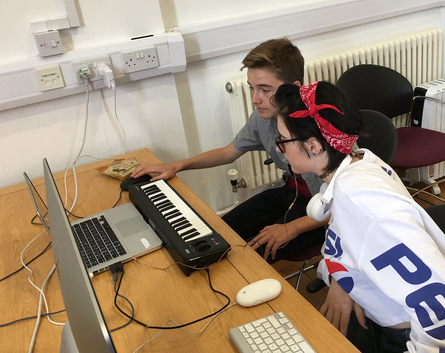 MediaActive Adventures' Young Programmers returned in Summer 2018, selecting and programming screenings for MediaActive's Anim18 programme; developing an Adventures @ Anim18 website; as well as making a 'mashup' of UK animator Cyriak's work, accompanied by an original soundtrack, composed and performed by 15 year old Ben - take a look at 'A Symphony of Cyriak' below. As part of ANIM18 , BFI Film Academy were pleased to be able to offer a full programme of screenings, talks and workshops from some of the UK’s leaders in animation. The focus was on young aspiring animators & filmmakers - how to get started in the industry, how to get films shown and what opportunities are out there. 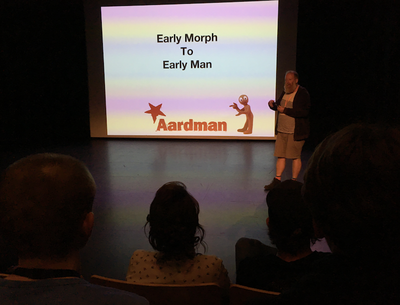 This was also a unique opportunity for young creatives to meet guest speakers from the Film Industry and Film Festivals, enjoy screenings from BFI Acadamies animation highlights, animation shorts, surgeries, and make new contacts AND be with people who just love film and animation. A fabulous, and inspiring, time was had by all! 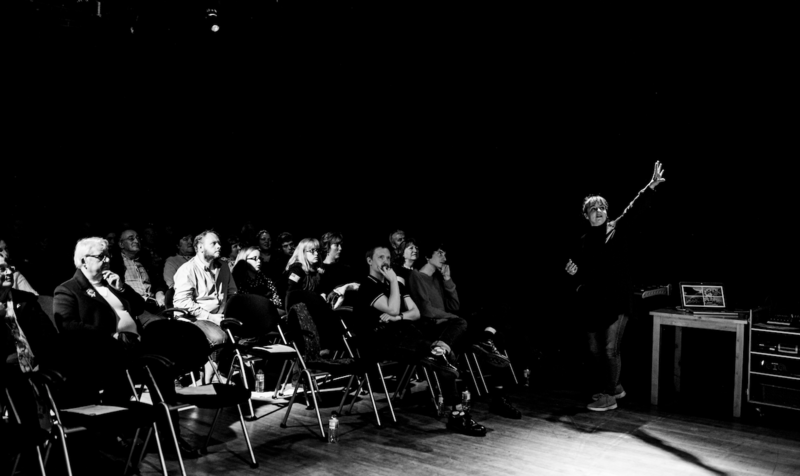 Audience members came from all over the UK - from Cardiff to London; from Grimsby to Northern Ireland! Animation Extra Twitter Fest! 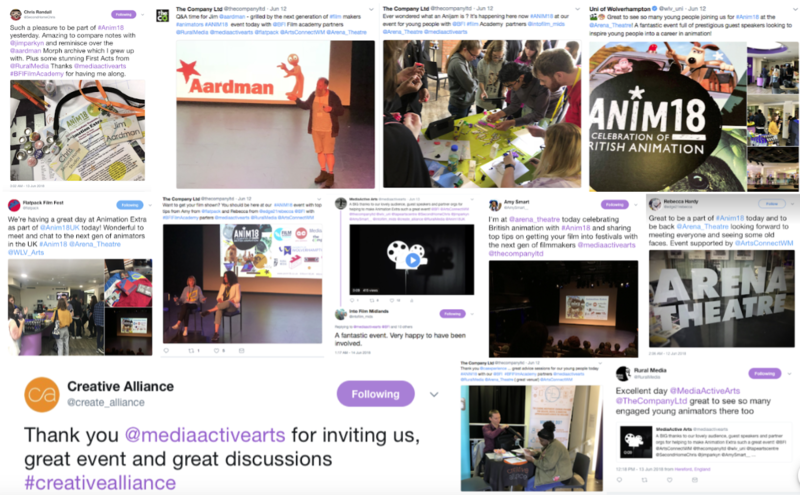 (see image below) - thanks to our wonderful event partners and audience, the event got some great exposure on social media! 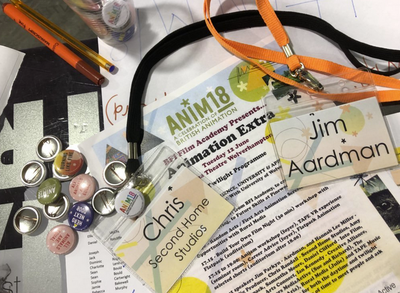 Take a look at the Anim18 trailer below or, if you've got some spare time, check out 'Animated Britain' via the BFI Player by selecting the image below. 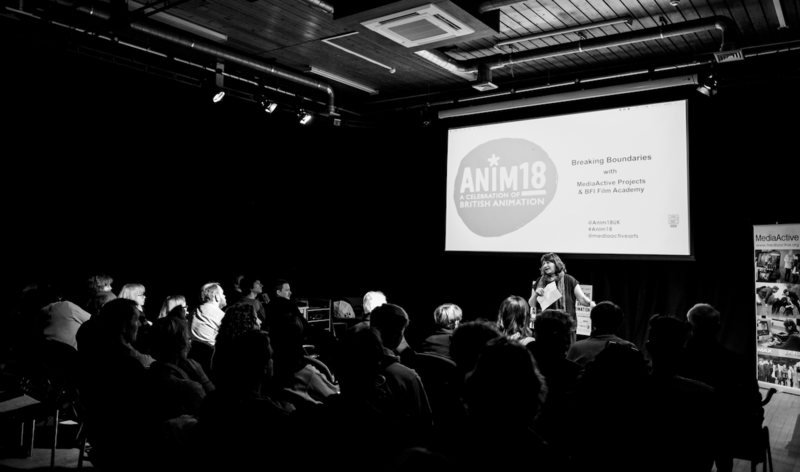 ​Anim18 is led by Film Hub Wales and Chapter (Cardiff) working with the BFI Film Audience Network and project partners, supported by the BFI awarding funds from the National Lottery, by Arts Council England and the organisations shown above.